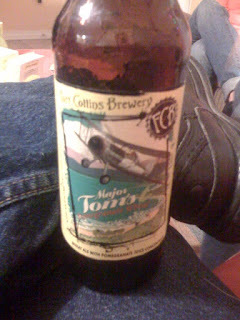 The BR Beer Scene: Another Tasty Beer From Fort Collins Brewery. Another tasty brew from Fort Collins Brewery... this one is a Pomegranate Wheat Ale, although the pomegranate is fairly weak. It's still a tasty wheat beer and one I'll consider buying again. $10 for a cold 6-pack at Bet-R!